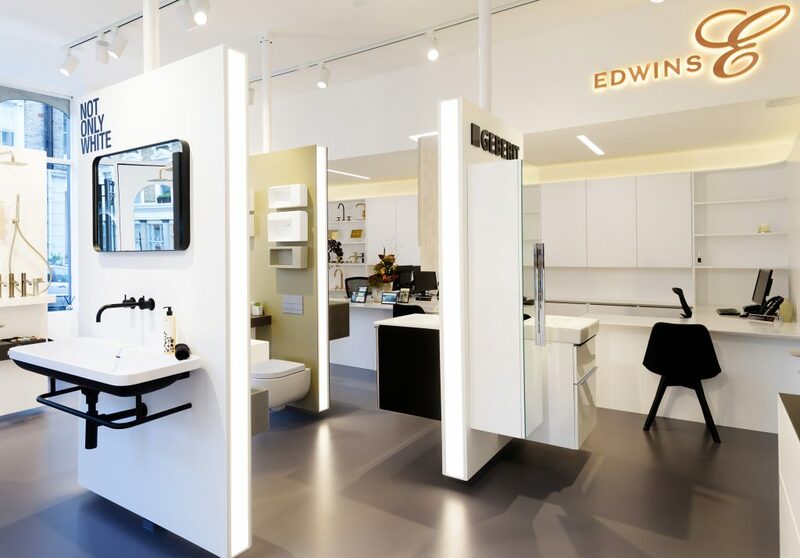 We were approached by the owners of Edwins, a family run business with a long history on All Saints Road, to help them completely transform their main showroom as part of a re-branding exercise for the business as a whole. The design concept for the showroom was to create a modular and minimally designed display system which would show off the variety of products, also giving the staff the flexibility to change individual displays without disruption to the rest of the showroom. The modular, interchangeable panels on both the free-standing displays and walls maximise the available space without the showroom feeling cluttered. As the freestanding displays can be rotated, this allows Edwins to easily redefine the space, depending on what they would like to display. The design of the showroom is intended to draw in the customer / passerby by first allowing glimpses of the different displays from the street. 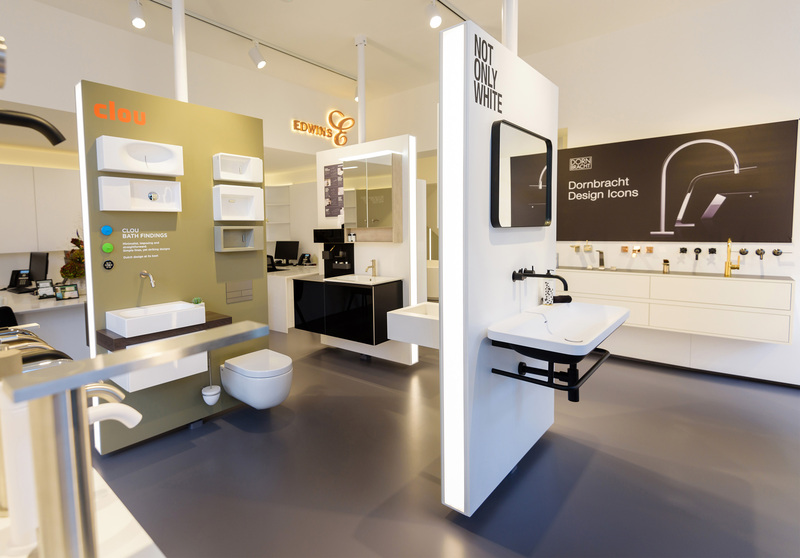 On entering the showroom, the customer can comfortably browse the free-standing displays which are orientated to suit the varied ranges of products. The customer can see all the way through to the back of the showroom, and also locate Edwins’ staff easily.